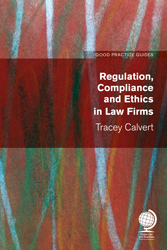 Law firm management offers some unique challenges, and each book in our new series gives you a well-structured analysis of a particular topic. They are written in a practical, accessible way, and the ideas are often supported by checklists, case studies and summaries, so you can spend less time reading and more time doing. Our authors are all industry-leading experts, carefully chosen for a deep knowledge of their subject. We’re sure you will find the books packed with useful ideas that you can start to implement within hours of receiving them. This book will show you how to reinvent yourself to create a culture that encourages and spawns innovation at every level, both on the micro and macro levels. 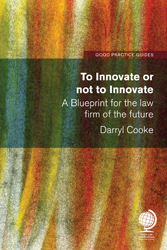 It leads you through the creation of the infrastructure that is necessary to encourage creativity and that is unique to law firms.